I’m lazy these days and buy prepared herb or garlic bread at the supermarket, but back in the 1970s you had to make your own. This recipe is slightly different because it has both the garlic and herbs in the one loaf. It says to slice the breadstick lengthwise, butter it and then cut into serving size pieces, again not what we usually did. Think I’d stick to just cutting it into serving size pieces and definitely wrap it in foil before you put it in the oven otherwise you’ll have butter everywhere. 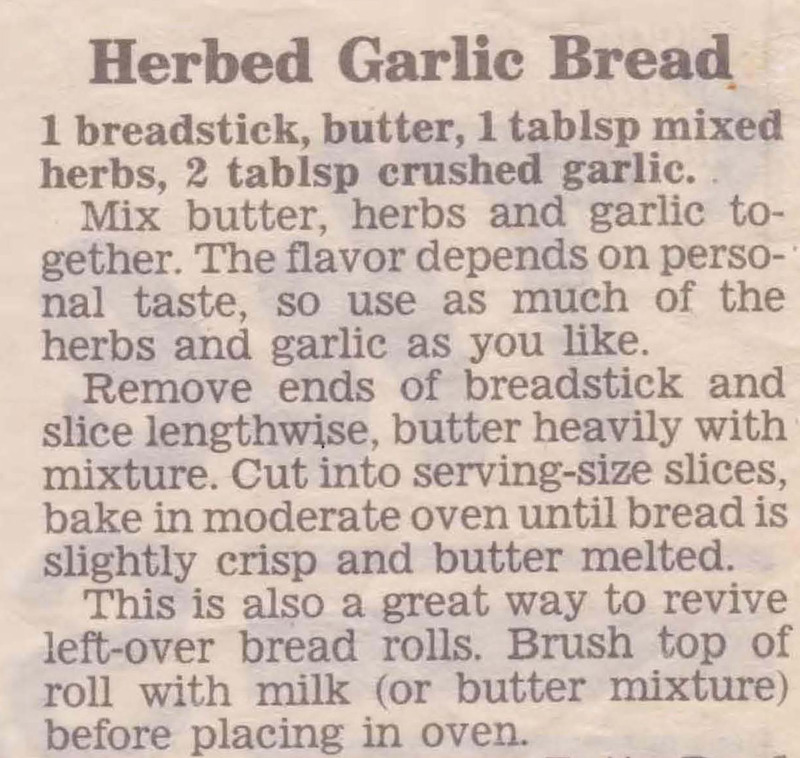 This entry was posted in Uncategorized and tagged 1970s, breadstick, butter, garlic, herbed garlic bread, mixed herbs by bebsrecipes. Bookmark the permalink.